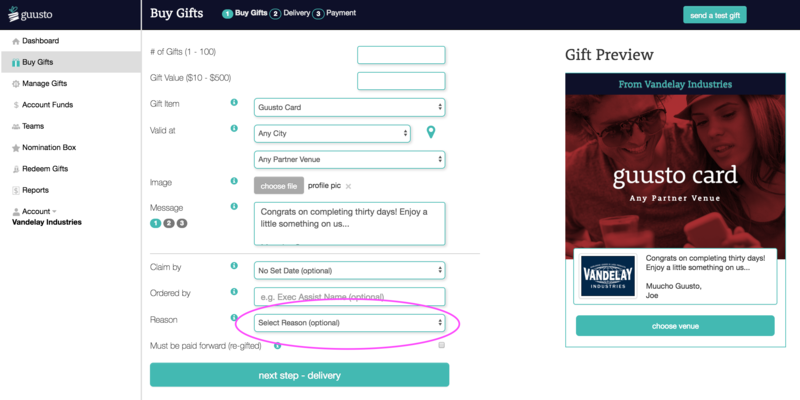 How do I customize list of reasons for sending gifts with my Primary Account? 2. Click on "Account" then select "Gift Reasons"
4. Then navigate to Buy Gifts page to see your list of Reasons to choose from when ordering gifts. How do I load a "Gift Reasons List" for Team Members?